The Marriage Merger Release AND a Giveaway! I’m so excited to share the excitement of my new release! The final installment in the Marriage to a Billionaire series hits stores and cyberspace everywhere! Links are live up at my site, and AUDIO is already here! Click on the link below to listen to an excerpt right now! Get ready for some romance in Sin City with great prizes from Simon & Schuster Audio’s new sweepstakes! 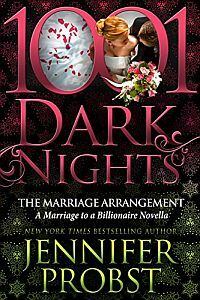 Enter for a chance to win an all-expenses paid trip to Las Vegas for two, up to $3,000, a new iPod Touch with the most sinful of audiobooks—including my THE MARRIAGE MERGER audiobook —as well as a $250 gift card from Agent Provocateur! I’m Talking About Marriage over at XOXO after dark! You don’t want to miss this! I’m looking for brand new newsletter subscribers and have partnered with the fab Catherine Bybee to give away a bunch of prizes! Click on the link below – you don’t want to miss out!